Go for the gold in honor of Donald Trump! 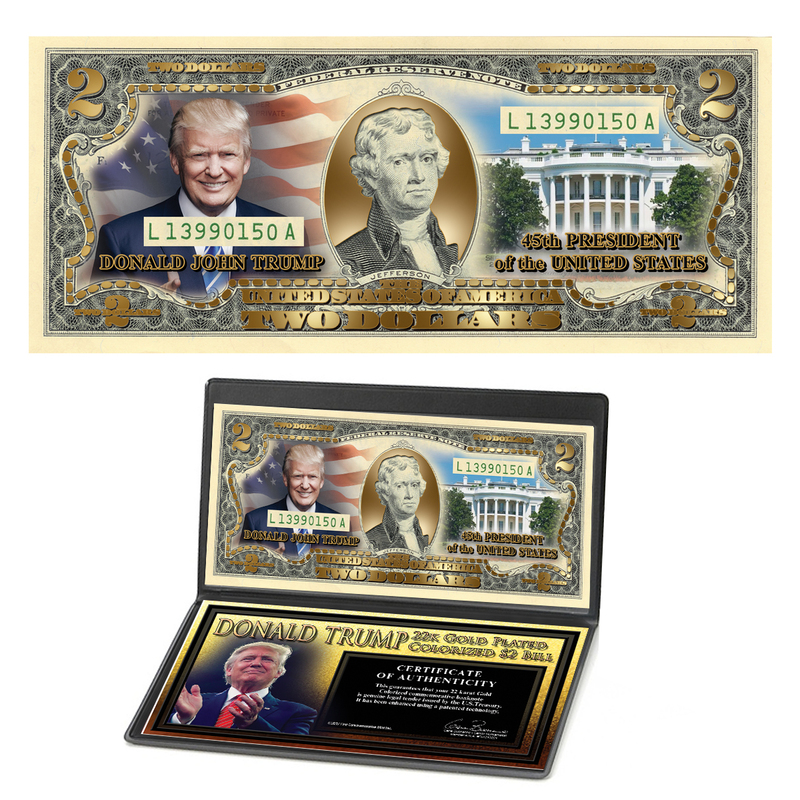 This 22K gold-plated $2 bill depicts colorized images of Donald Trump on the obverse and commemorates his election as the 45th President of the United States. 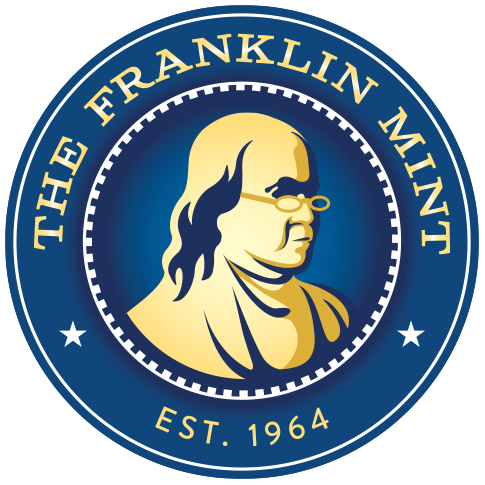 Celebrate the outcome of this historic election of the 45th president of the United States! 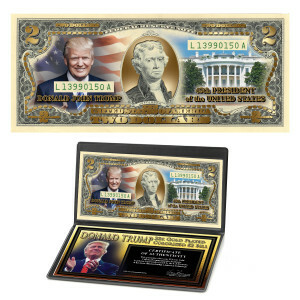 Each $2 bill is a true piece of history that will serve as a reminder of this historic election for generations to come. Like all such items from past elections, of course, they will not be around for long and will surely become even more prized in future years. The colorizing is the highest quality in the world and is accomplished through a revolutionary, patented technique. The colors are life-like.